I remember the first time I searched for hobby related information in the internet coming upon the Krib website. Amongst all the information I found there was some about the different types of aquariums. I remember reading the styles were community aquarium, planted aquarium, salted water and biotopes. That's was the first time I came upon the word biotope and its meaning. While today describing aquarium types may not be as straightforward as it was back then, the concept behind a biotope aquarium remains the same. But first let's establish that while I have been writing about the different aquascaping styles, biotopes are not really one of them. 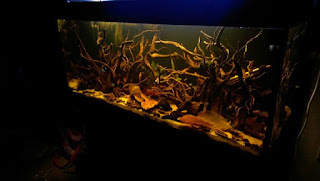 They are a completely different type of subject in the aquarium hobby, just as aquascaping is. However lately there has been a rise of biotope style aquascapes that led me to the conclusion that the two styles are blending. They are slowly becoming a style of aquascape themselves. This is my thinking, reinforced by recent talks with scapers keeping biotopes. But I am not saying it's set in stone. So what is a biotope? A biotope aquarium is an aquarium that tries to replicate a natural habitat. In these type of aquariums artistic design is not the goal, the goal is to design a real underwater environment from any given area of the world inside your aquarium. To do this the hobbyist need to have a very good knowledge of the area and environment that he wants to recreate. An aquarium like this will only use fish and plants from that specific area, some even go as far as shipping sand and wood from the area they area recreating to ensure authenticity. This attention to detail also goes into the chemistry of the water, the hobbyist aims to give the plants and fish the same exact conditions they would find in their natural habitats. Like I said above artistic design takes the back seat here, actually most biotopes look a bit rough on the edges as they are really trying to capture the way things look underwater in nature, and down there things generally don't look as clean and organised as one would expect. And you can create a biotope from almost any place you want, the blackwater biotopes are some of my favourites, the African lakes are also really cool. As long as you are true to the habitat you are trying to replicate you will succeed in creating a sucessful biotope. 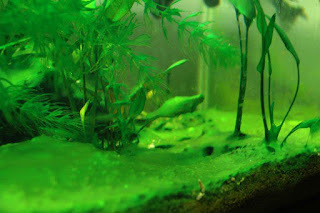 Lately however there as been a tendency by some hobbyists to blend biotopes with aquascaping. These are however not 100% true biotopes. Reason is they aim to achieve the biotope look without sacrificing artistic design. This is most visible in the recent trend of black water aquascapes. These look more like carefully planned designs instead of the rough around the edges look of the biotope aquariums. You'll notice a clear use of aquascaping rules in the building of the hardscape and plants. They are also more loose with using materials,plants and fish from the same area. For example a blackwater scape may use a South American fish but not native from the blackwater region. 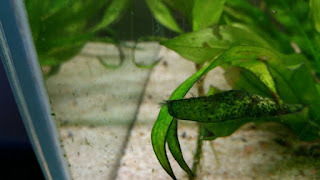 Same for plants as I have seen some using anubias, which are from Africa. 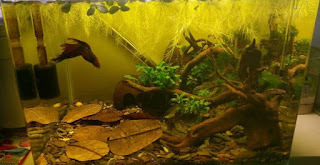 I have also came upon some hobbyisys trying to create african planted tanks, many with plants that are not native to the area. Still these tanks are artistically beautiful, just not 100% true to the nature of a biotope aquarium. However their rise is helping the biotope reach a wider audience. 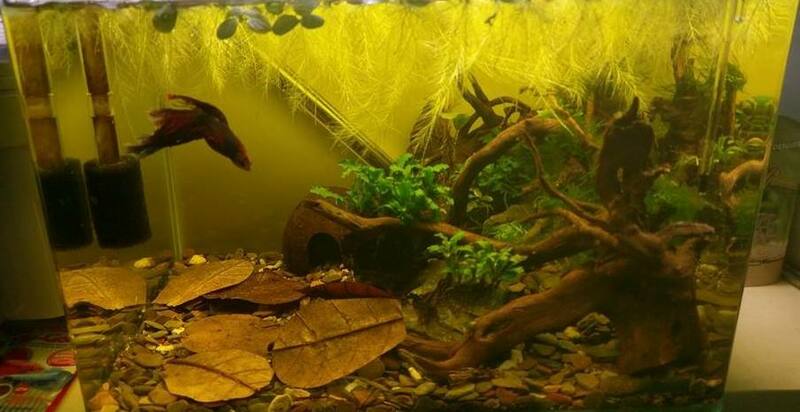 They are not planted aquascapes but they are beautiful in their own right and the rise in popularity means that just like for aquascaping, there are now biotope aquarium contests being organized. As expected this is pushing this style of aquariums to become mainstream. South American biotope style aquascapes by Cory Hopkins. 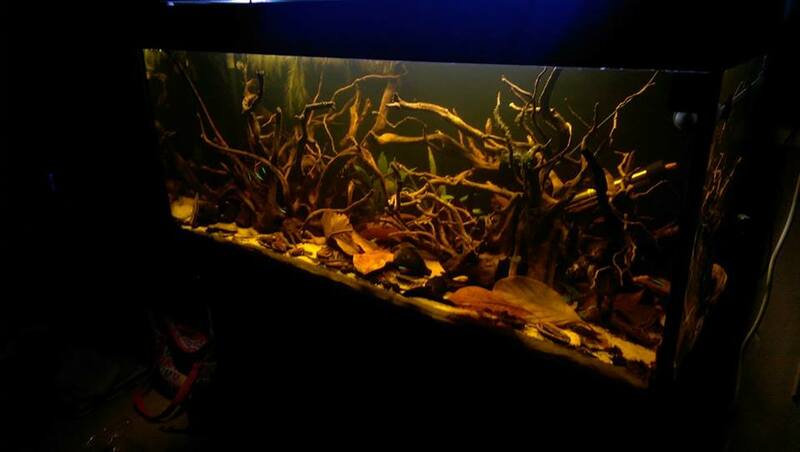 P.S apart from the Tanganyikan and malawi biotope aquariums all the other tanks in this post are Biotope style aquascapes. They were inspired by biotopes however are not 100% region specific. I will add some true biotopes into this post as and when I find some and the owner is willingly to share.